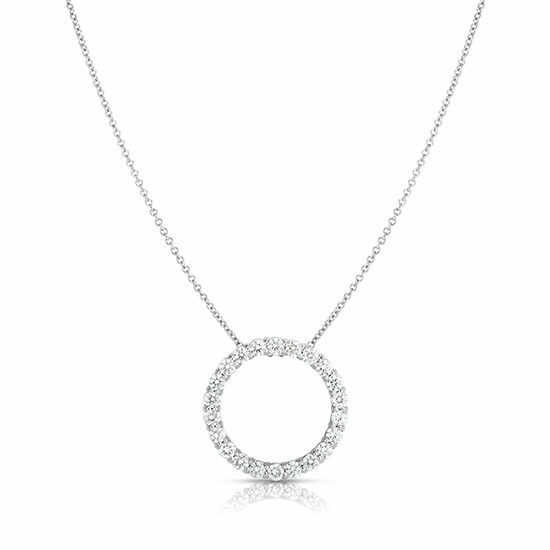 Classically beautiful, this white gold and diamond circle pendant necklace is a staple accessory, perfect for every day and night. Featuring 22 diamonds, this pendant necklace is sure to make the wearer glisten and sparkle as much as the diamonds in it! Ships In: Online purchases will be shipped once the payment is processed. Please allow up to 7 business days to ship.